I quickly graphed the survey that's been running this year. It's interesting to note that the majority of readers are teachers and students (students form the majority of the other category). The proportions have stayed roughly the same after a spike with a load of students at our school realising that I was posting calculator tips here. From analytics, I can see that students are most interested in graphics calculator help, many hits from the simultaneous equations page, and for teachers many of the entries about IWBs and pay claims are read. 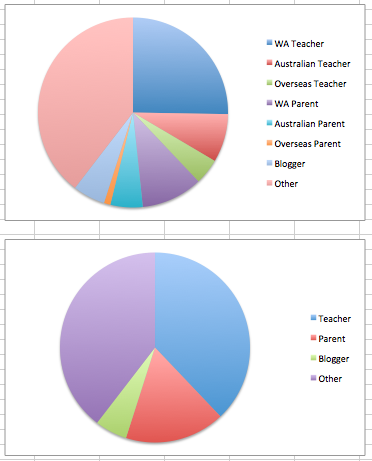 Parent spikes in usage come around NAPLAN time. 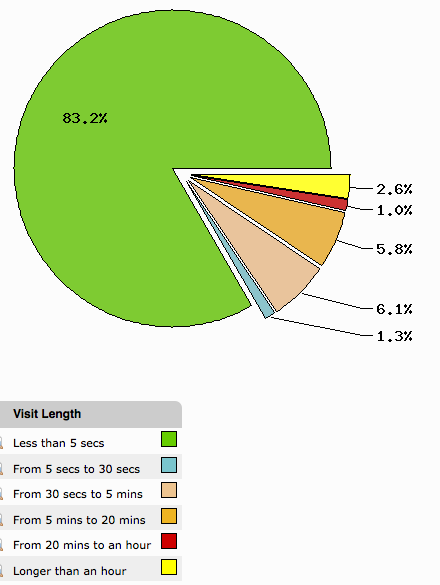 This sort of information gives me better guidance about what people want from the blog, what to write and when. Similarly I can see that the readership is growing steadily, although growth has been impacted by my masters, as I've posted fewer articles. Hopefully this will improve as I become better at managing my time. I try and keep readership around 20% (<5 secs indicates that a reader has not found what they are looking for). Generally, the 20% is what forms a readership. Cold canvassing rates are <1%, so I consider 20% reasonable since people have actively searched for information to find the blog. Nearly all searches are done through google. Looking back over the week, kids have been preparing for exams in year 8,9 and 10. There is a decided lack of urgency in their preparation which is something that needs correction. In designing the exams, I focused on the DET C grade descriptors which provides a broad brush of what a C student should be able to do. From classwork I'll select the A's and B's. I'll admit to being frustrated with the exam process. Test the A candidates properly and the 2nd tier lose motivation, fail to test the A candidates adequately and they get lazy and overconfident. The middle ground where an exam works for both can be hard to find and I'm loathe to split the exam as this hasn't worked in the past either. At least their final assessment for the term we identified those with independent learning capabilities. 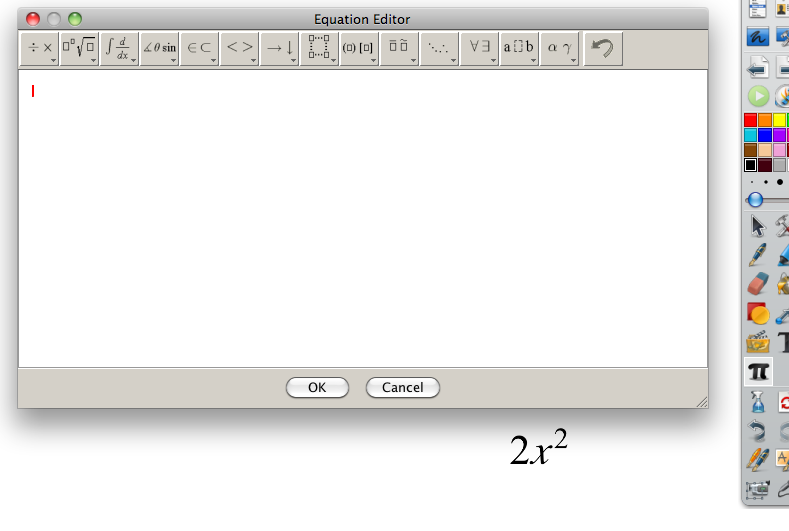 It was a quadratics investigation run over two periods followed by a test. 3A candidates were able to identify connections to prior learning and make connections between turning point form and transformations. C students missed the connection even after being taught the material explicitly. The edmodo portal is filling the OTLS hole well. Past exam papers, course outlines, grades, homework and boardwork are all being exposed to students at point of need. It has been a few years coming but it finally fills the gap between the digital student and the classroom. The next two years will be challenging, finding ways of delivering my yr 10's to university. Mixed 11 & 12 classes have a breadth of spread of ability and maturity. Although we have an above expectation pass rate and we now deal with late maturation a lot better than in the past, we still have a long way to go. As a wannabe researcher, I look forward to research cycles and finding things that I can bring back to the classroom. It's also good to know things that can refocus a discussion in a direction that can be more fruitful in terms of outcomes. 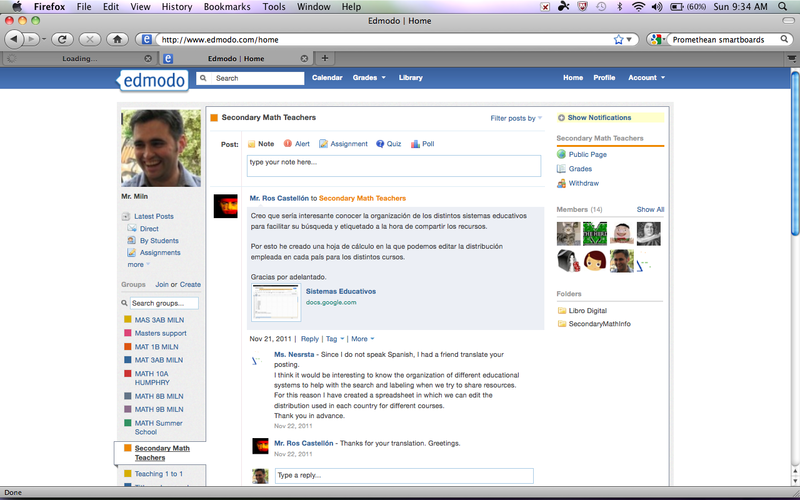 My thing for today is edmodo - a web2.0 technology bringing a limited facebook environment to the classroom. It may be what we all hoped OTLS was going to be. It's being used in some of the private schools around Perth and may be worth a look. This has been a strange week as I decide whether to restart my research or seek L3CT as many have recently suggested. One process enhances my ability as a teacher and the latter recognises my achievements whilst providing a significant increase in salary. As someone seeking continuous improvement, I'm not sure I could sustain my interest long enough to complete the L3CT process for fundementally only monetary gain nor am I sure that I have the resources and support available to complete my postgrad whilst on full load. At this time in a career it can be difficult, watching those around you seek and get promotion whilst trying to remain focussed on why you started teaching. The L3CT benefits are particularly suspect when considering the choice in this way.. No sane person starts teaching for the money - and that's the primary benefit of L3CT.